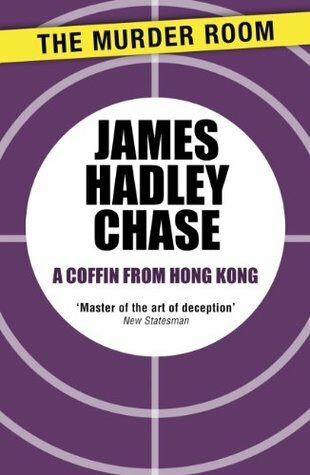 This is the first book of James Hadley Chase that I’ve read and this what I think about it.Since this is the first book of James Hadley Chase that I read, I had those thoughts about it like whether its a good book or is it a complete waste of money. And I was surprised to find out that this book was amazing, it doesn’t cost much and its worth it. We all have that feeling when a buy a new book written by someone whom we did not know, until we bought the book. This is a fast paced thriller. I never felt bored while I was reading this book. So the story goes like this, Nelson Ryan, a private detective, receives a mysterious phone call from a man who asks him to keep a watch on his wife. Ryan does as he is told, but then nothing happens, so he feels that maybe it was a trap and goes back to his office only to find out that an Asian woman is sitting dead on the chair in front of his table, and then the story progresses further. Its a great book which you can take along with you while you are travelling. Or you can read it in the weekend. Thank you for reading this post. I would like to know your opinions in the comments section below. Also do share this post on social media. I would like to know which book you want me to rate next, I will try to do it. Thank you once again. Thank you, I hope that you read it. Sure, also tell us your opinions after reading the book.